If you really want to mitigate the devastating consequences of a hurricane. Have no clue about how to prepare for one? No problem. To prepare you against the ruthless assaults of the hurricane, I have put together a COMPLETE guide and checklist for you to follow. Facing a natural phenomenon is trouble enough. No need to exacerbate the situation by facing it with no food and an empty stomach. Especially, when you live with your kids and family. 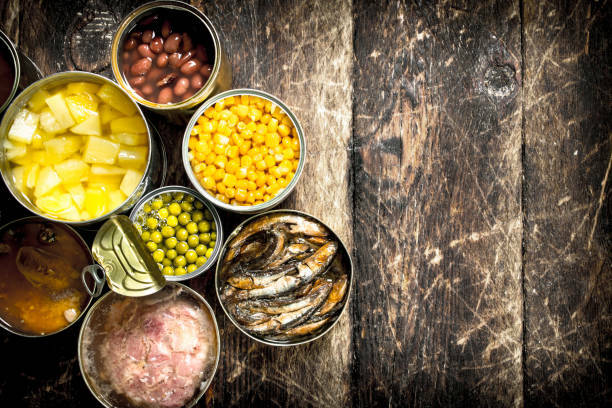 Hence, you need to store non-perishable food such as canned meat or canned fruits as your food supply. They should last at least a few days. Make sure that your food reserve includes baby food, vitamins, high energy foods, staple and canned juices. It is also recommended that you get food that requires no additional water and can be eaten without cooking. Moreover, don’t forget to check the expiration dates of all the foods before purchase. If you have several family members along with a few pets, then you need to store a good deal of water. Stockpile as much liquid as possible in the refrigerator, so that should a power outage occurs it will preserve the cold for longer. In addition, fill up the bathtub, as an average bathtub holds enough water for a couple of days. Besides, you can use the bathtub water to flush the toilet. If you or any members of your family take on any particular medicine regularly, then you must stockpile enough of it before the storm starts. Many insurers may not allow you to buy refills without finishing the last one. Nevertheless, you need to buy the important medicines even without insurance. For during the hurricane, pharmacies will be closed and you might not be able to get a refill for weeks. Weeks without medicines can take a massive toll on your health. Most of the standard home insurance doesn’t come with a flood coverage, hence you are gonna need to buy the flood insurance separately. You will want to purchase flood insurance well before the hurricane season approaches. During the hurricane season flood insurance is mostly unavailable and even if you manage to get one, it will cost you a fortune. Flood insurance is certainly worth your money. As, a hurricane is perfectly able to demolish homes and if your house gets in its way, you can easily rebuild your home with the money that will come from the insurance. You’d like to take photos of your home before the storm strikes and put them in a safe and waterproof place. They will be required for your claim for insurance money. Serious damage can occur if winds somehow manage to get inside your house through a broken window. That’s why you need to ensure that your windows are protected against the windblown debris. For safety, you can employ hurricane shutters or plywood coverings over all your windows. This will make it difficult for the wind and debris to cause significant damage to your properties. Reinforcing the doors of your garage is also a great idea. As it will ensure that items in your garage will be safe from the hurricane’s attack. If you have large trees in close proximity to your house or your car, you need to cut or trim them down ASAP. If a giant tree comes down on your house, it can cause a considerable damage to your roof. As you can guess, a roof with a gigantic hole will certainly not make a pretty sight. And if the tree happens to fall onto your favourite car, you can kiss your beloved car goodbye. You'd like to cut the trees down before the start of the hurricane season. The local collection service won't be available during the hurricane season to pick anything up. You don't want your important documents to get damaged by a hurricane. That's why you should keep all the necessary papers such as your birth certificate, insurance papers, passports and other papers tucked away safely in a waterproof safe. 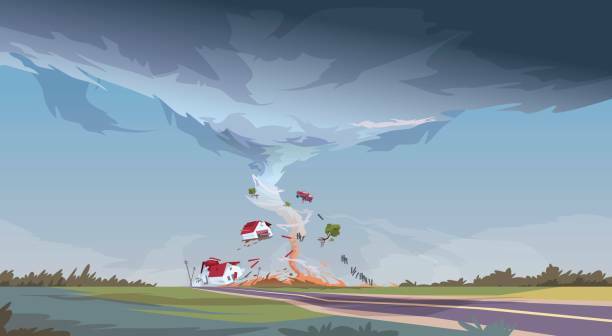 Even a mild hurricane can cause things to fly around and inflict damage on your properties. Hence, you need to remove all the loose items that are outside of your house. Trash cans, toys, lawn furniture, gardening appliances and any other things that have the potential of damaging your house should be brought indoors. You might be required to turn off the water and power to your home during the hurricane as a safety precaution. The chances are that during the hurricane, you will have to do all these by yourself. And if you have no idea about the procedures, you can ask the electric or gas companies for instructions. Listen to the instructions from local officials on whether you should turn your utilities on or off. You will like to sign up for the local alerts and warnings. Weather alerts are immensely helpful for preparing against natural phenomenon such as the hurricane. They warn you against the storm before it strikes and gives you valuable time to find a sanctuary in time. In addition, you will receive all the updates on the development of the hurricane. It will allow you to make plans accordingly. Hurricane advisory: The National Weather Service (NWS) issues a tropical storm when it believes that the situation is going to worsen and may become dangerous. Hurricane Watch: the NWS issues a hurricane watch when it expects a tropical storm within 48 hours. Hurricane Warning: the NWS issues a hurricane warning when it expects a tropical storm within 36 hours. You should learn about the evacuation routes, in the event that you are asked by the local authority to evacuate from your home. You can look into the website of your local city or ask your state’s Department of Transportation for advice on which routes to use to escape from a hurricane zone. It can be the place of your friend's or of a family member. However, it’s important that you discuss the plans with them beforehand, and ensure that they will be available during the hurricane season. You can‘t rely on the gas stations to provide service during the hurricane. Hence it would be wise to keep your gas tank full in the event of a sudden evacuation. 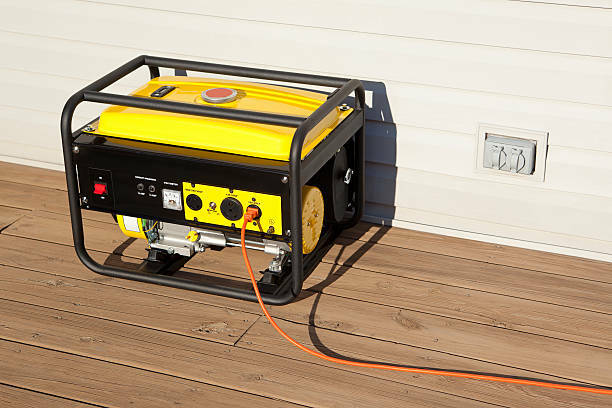 In addition to the car tank, you can stock some containers full of gas, which can come in handy, should the gas become unavailable during the hurricane. Make the entire disaster plan clear to your family members. Let your family members know who to contact and how to get hold of them in case you are separated. If necessary make an index card, on which the disaster plan will be written down step by step and distribute it among your family members. This way each member of your family will be prepared for the hurricane and won't have to depend on another person for help. It goes without saying you won't leave your pet behind. As a precaution, you can put an identification tag on your pet's collar. You should also include your phone number on it. For if your pet goes missing, the person that may find your pet can easily contact you. Pet carriers should be used to transport the pets. Keep them on leashes so that they don’t get lost. Non-prescription drugs such as aspirin, antacid and anti-diarrhoeal drugs. Infant supplies such as diapers, powdered milk, and meditations. It is in the hurricane's nature to leave widespread destruction in its wake. And in front of such a powerful adversary, it is only our preparation that can help us. Thus, by following the above-mentioned steps you can protect your home, beloved family members and your property from the terrible wrath of a hurricane.